I am the president of the local Questers chapter named The Rum Runners. We meet once a month to learn something about some local historical thing. We also raise money to preserve and restore something of historical significance. Santa gave it to me for Christmas. I am almost finished it and plan to read it again, and perhaps again, I’m enjoying it so much. All I can say is thank you for all your hard work in putting this wonderful history of Windsor together. I have been showing it off to my fellow Rum Runners and telling them some of the stories. I will be buying more of your publications in the future. P.S. “Dish Nights at the Tivoli,” p. 63, “Best of The Times.” Noella and I have an almost complete set of these kinds of dishes. They belonged to my maternal grandparents who won them at a movie house in Toronto. Just a small note to tell you "Congratulations" once again on your major accomplishment with the publication of your book. It has manifested first class all the way. I have had fun reading it and viewing the large number of interesting photos. Sure brings back memories of times past for me and your many readers. A valued keepsake. 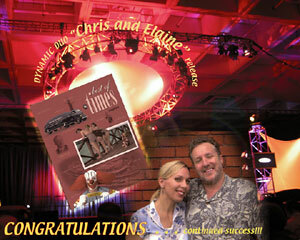 I quickly put together the attached from photos I took at Photoshop world and your scanned in book cover. 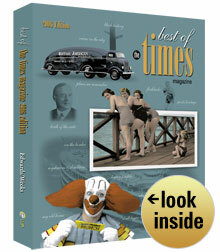 Just a note to tell you that the wondrous book arrived yesterday here in Vero Beach. No wonder you all were so busy and exhausted. This is fabulous! I sat down last night and this morning and pored through it. The old post cards were really great and I particularly liked all the downtown scenes. Just to look at the Norton and Prince Edward and Wilkerson's Shoes and Ponds Drugs brough back a gang of memories. My old school, Patterson was much prettier than the current occupant of that property. Pictures of another of my former institutions, Assumption, brought back many thoughts of the good and simple days. Recently, I went back to Assumption with a Grandson and although the school is not at its original location, I was pleased to see a number of old brick and granite memories still standing. I am attaching a short story that I wrote which was subsequently printed in the Assumption Newsletter. All told, your book is really tremendous, arguably the best Windsor/Walkerville pictorial and historical presentation I have ever read. He stood at the door and hesitated before grasping the worn, tarnished, brass knob. He was late…over fifty years late. It had been September 1948, since he last entered this classroom. He peeked through the beveled panes of the old maple door and saw Father Hanrahan’s ancient oak desk, and behind it, the blackboards complete with brushes, and a wooden pointer. Quietly, he opened the door and walked into his past. The empty room was full. As he stood there, he remembered them all. He smiled at John Rouble and Charley Hickey and joyfully spotted Eddie Dube and John Brothers. And there sat Billy Neal and Bernie MacNamara in the same row as Frenchie Menard and Ferdie Gignac. They were all there! All of them! Then sadly, suddenly, he noticed how much smaller the room had become since last he entered it, and he knew it was time. He turned and touched his own old desk, nodded to Father Hanrahan, took one last look at all his friends, and shut the door. Congratulations on your new book....really enjoying it! An important document of Windsorville's history. ...also thanks for your hospitality on the book launch evening, alot of fun! Congratulations to you and Elaine on a job well done. The book is outstanding. Thanks for listing my website in the front too. I think the book will make a great gift.